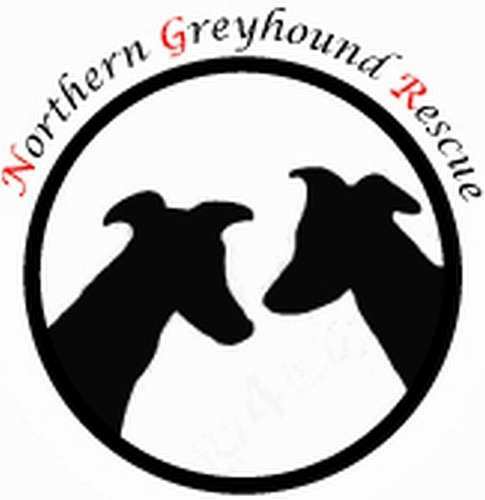 Greyhounds and Lurchers are Sighthounds. Sighthounds or 'Gazehounds' as they are also known have existed for at least 5,000 years making them one of the oldest breeds of dogs. 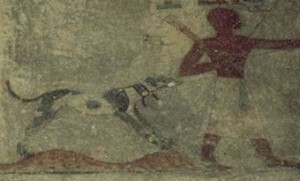 Ancient Egyptian Artwork and Hieroglyphs portray dogs closely resembling Greyhounds and other Sighthounds. For thousands of years, they have been bred to observe movement and to chase and capture their prey by their superior sighting skills and their rapid speed. The anatomy of the Sighthound makes them the Ferraris of the dog world! They are long boned with extremely well developed and powerful muscles. A flexible back and long legs enable the long stride and the distinct gait of the breed, with long middle toes to enable a firmer footing when running. A deep chest aids powerful lungs and compared to other breeds of dogs, they have a larger heart. They have long and slim heads which enable a full range of sight or stereoscopic vision, with no part of the head interfering with their sight when running. The Sighthound has evolved and differs from breed to breed depending on it's native environment and the animals it was bred to hunt in it's country of origin. Because of this, there are many different kinds of Sighthounds with varying coat type, size and ability. The Greyhound is an extremely rapid runner whereas the Saluki although slightly slower, has more stamina. The Whippet has a smooth coat whilst the Wolfhound has a longer rough coat. The Sighthound likes nothing better than running around doing what it does best! However, with most Sighthounds it's full speed for short periods of time and then doing what else they do best, taking it easy and relaxing! However, as youngsters, like any juvenile dog , they can be full of beans so energetic bursts are to be expected. The Sighthound doesn't demand a huge amount of your time and attention, they are independent spirits due to their ancestory when they could be leagues away from their owners when hunting at fast speeds. In general, they are placid, loyal dogs who don't need a lot of discipline and training as they are happy to please. Content to snooze in a chair or on a sofa, they are hugely charismatic and elegant dogs.